Last year I invited both our parents for Christmas dinner, but on two separate occasions. 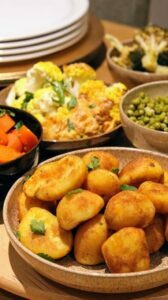 Although I’ve cooked many roast dinners, I’d never taken on a formal family feast before. The first dinner with my parents was a practice run with a turkey. The second was everything except the bird as requested and on Christmas day. Looking back, I was extremely thankful for the practice run. I was able to learn from mistakes, like don’t assume you have enough tinfoil in the house because you saw it the other day. Let me just say that I was extremely lucky our local convenience store was open at 6am so I could get it in the oven in time. If that had been Christmas morning, then it would have been hello dry turkey (most likely). I also underestimated how much oven space and hobs I needed. Oh and time. I ran out and resorted to instant gravy but added some extra beef stock cubes in. My fiance was disappointed but I just couldn’t do everything I’d planned. As I got towards the end of cooking, I was pooped and needed some cheats. So to get you feel more at ease, here’s a checklist that I think is important for all future Christmas dinners. 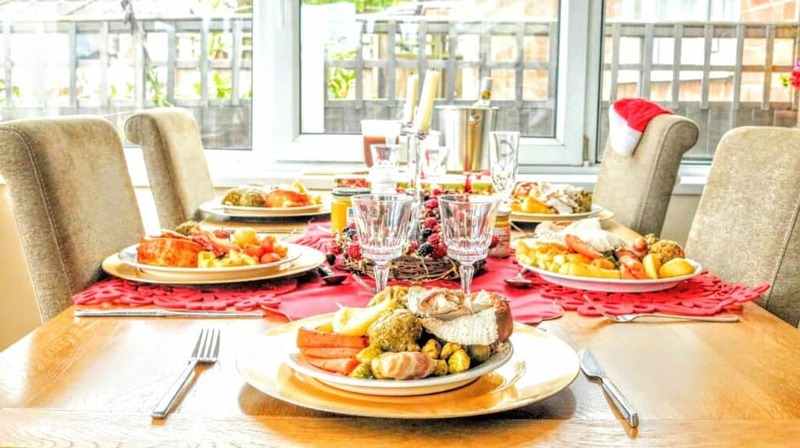 My top 10 Christmas dinner checklist for an easier life. 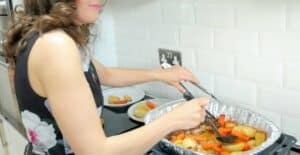 Do your veg prep the night before and store in water where possible. Consider buying a 3 tier steamer so you can cook several vegetable dishes all on one hob. 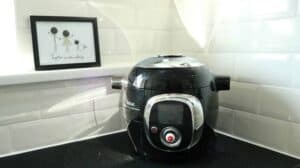 A pressure or miulticooker can cook most things in 8-10 minutes if you're short of time. 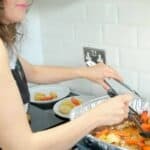 Save on washing up by using disposable tin foil trays and dishes. You can rinse and recycle at the end. Check you have enough tin foil in the house! 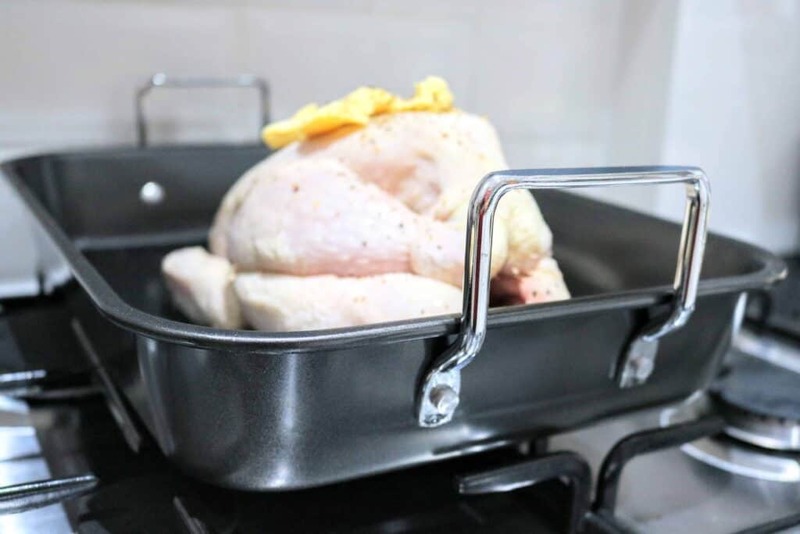 You'll need a LOT to enclose a turkey, so I usually buy more than I think I'll need. 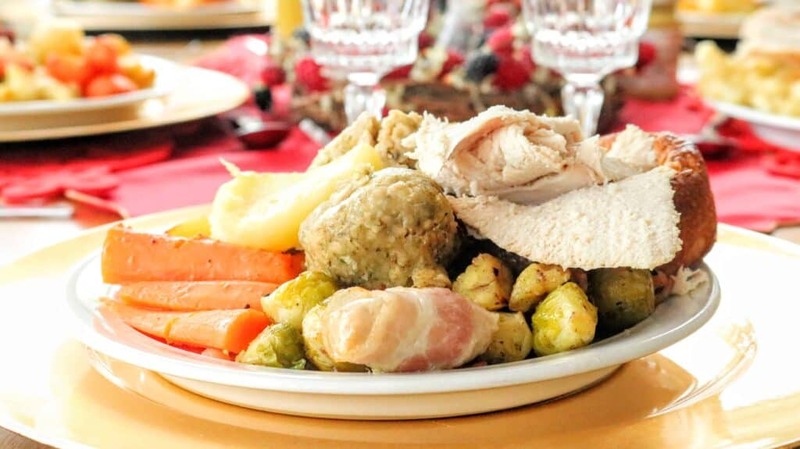 Make some dishes ahead: You could cook stuffing now and freeze until you need it for the big day. 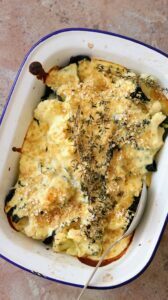 If you wanted, you could cook all your veg in advance and do the same, but it's likely to go a bit mushy. 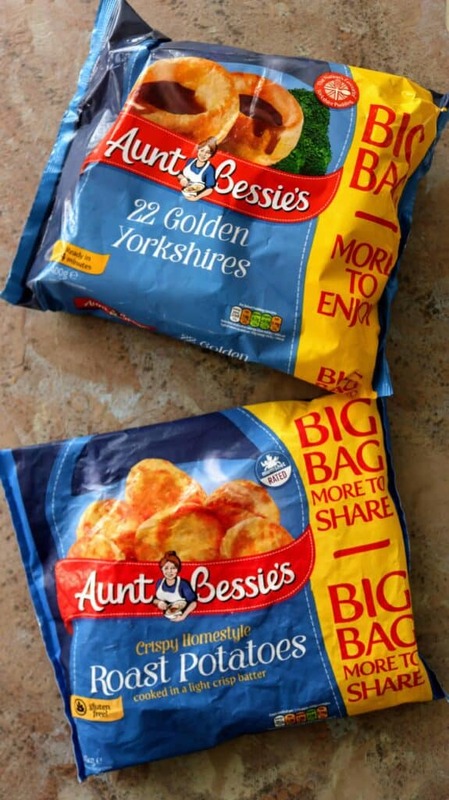 Some frozen foods, like Aunt Bessie's roast potatoes and Yorkshire puddings are a great helping hand and still taste homemade. Add some stock cubes, herbs and or even some double cream to instant gravy if you're short of time for a richer taste. Don't buy your meat last minute as I found it doubles in price on Christmas week. Also, buying a frozen packaged joint conveniently has cooking times to follow whereas our turkey needed longer than I anticipated.